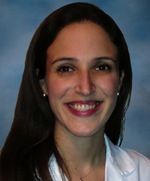 Laura Davidson, MD, an internal medicine resident, recently presented findings at the Society for Cardiovascular Angiography and Interventions Scientific Sessions showing that an unhealthy lifestyle may be only partially responsible for heart attack in young adults. A genetic component and not just an unhealthy living may be to blame for heart attack in some young adults, according to preliminary findings presented by Laura Davidson, MD, an internal medicine resident, at the 2013 Society for Cardiovascular Angiography and Interventions Scientific Sessions. The study, looking at patients 35 and younger who were diagnosed with heart attack or reduced blood flow to the heart, showed that although most of these young patients exhibited traditional cardiovascular risk factors like obesity, hypertension, and smoking, some showed no evidence of an accompanying underlying coronary artery disease. If a genetic link among these patients is found, their increased risk may lead to different treatment options. In addition to possible anticoagulant or antiplatelet therapy, primary prevention methods could include more aggressive smoking cessation interventions or lipid lowering therapies. Davidson stresses that more research must occur before any formal recommendations can be made. Davidson and colleagues at Northwestern University Feinberg School of Medicine and Vanderbilt University were also surprised to learn just how high the rate of traditional cardiac risk factors in this younger population were: 63 percent exhibited high cholesterol, 60 percent smoked, 49 percent were obese, and 47 percent had high blood pressure. Davidson’s Feinberg collaborators were cardiovascular disease fellow Jane Wilcox, MD, and Douglas Vaughan, MD, chair of medicine. The group plans to do a study looking for biomarkers and genetic predispositions that might identify abnormalities of blood coagulation in young patients with acute coronary syndrome.